This native lily of Peru will capture and delight the eyes of those fortunate enough to see them. 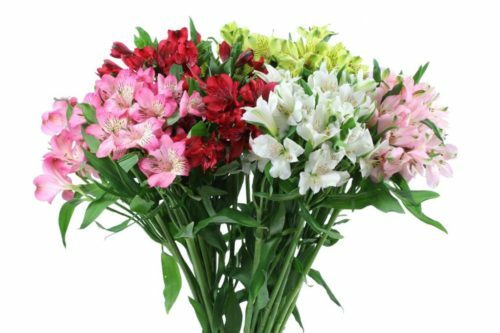 The Alstroemeria flower’s array of exquisite colors display bold crimsons and reds to soft pale pink and white plus a host of other colors with the ever present shades of leafy green. Peruvian Lilies are delightful to behold and can spruce up your wedding surrounds or business dinner tables, as bouquets or centerpieces or as floral arrangements for beatifying tables and selected empty spaces for very special occasions. They are perfect for forming flower bunch, bouquets or other floral designs. The exquisite colors of Alstroemeria is a must have for any occasion.